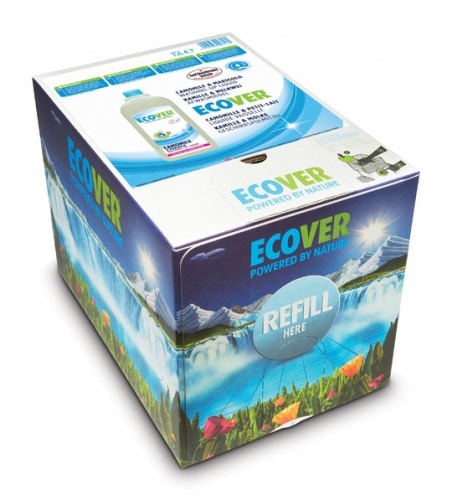 Reduce plastic packaging and save money with the great value 15 litre refill bag in a box. We switched to Ecover washing-up liquid when I read "harmful to aquatic life with long-lasting effects" on the label at the back of the previous washing-up liquid brand we’d been using, and I bought this large box as I wanted to cut down on plastic coming into the house and reuse existing bottles. We re-filled a few bottles the first time, and only need a few drops of the liquid when washing-up, so we’ve only had to pour from the box once in the past 6 months. 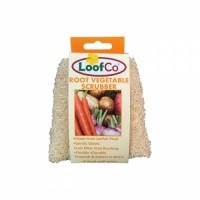 My husband, in particular loves this product, and this is an ideal way to make sure we never run out! I was disappointed that there was no tap supplied, as the packaging has illustrations on attaching same, and it would certainly make the re-filling process much simpler. Still, a great product. 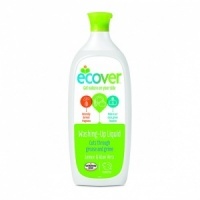 The Ecover Washing up liquid refill is great value. 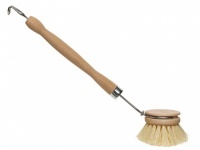 It lasts for a very long time as you only need to use tiny amounts of it to get your dishes cleaned. I also love the fact that I stopped buying so many plastic bottles.